With the release of the first LTS Ubuntu Kylin 14.04, the development work of Ubuntu Kylin 14.10 has also followed. Ubuntu Kylin 14.10 will be officially released in October. In order to offer a more excellent customer experience on the desktop, Ubuntu Kylin community will host the "My Life · My Style · My Self - Show Yourself" wallpaper contest from July 15, 2014 to September 1, 2014. The contest, open to all Ubuntu Kylin 14.10 enthusiasts, collects the most beautiful desktop wallpapers. Come on, everyone! Please join us! Let's show our own charm together! 1. Modes of creatives can be varied, such as photograph, painting, design and so on. 2、All the entries should conform with《Design Description 》and《Design Specification of Ubuntu/Ubuntukylin Wallpaper(click here to download). 3. Size: All the entries should be 2560x1600 pixels. 4. Information: Please provide the name of the work, spot for photograph or creation and implication description about 100 words or so. 5. Format: RGB, JPEG and PNG only. 6. Once submitted the works, contestants will be deemed to have agreedCC-BY-SA3.0 Protocol. 7. Please submit the work to the E-mail address:wallpaper[at]ubuntukylin[dot]com，The theme of the E-mail should be“Show yourself-Wallpaper Contest”. 8. Please log in the “Huodongxing”of wallpaper contest at the same time so that the staff can collect contestant information. 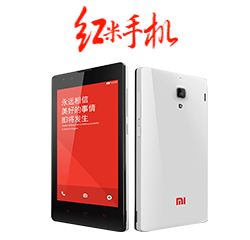 The first prize：a Red mi mobile and certificate . The top ten：Ubuntu Kylin souvenirs and certificates. The top twenty：Their works will be Ubuntu Kylin 14.10 Desktop Wallpapers and released all over China.